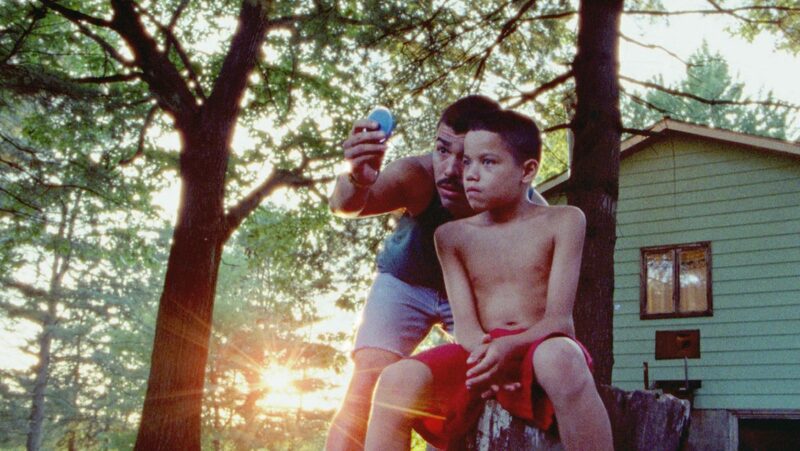 A scene from the Sundance Film Festival movie "We The Animals," featuring McAllen actor and playwright Raul Castillo. Actor and playwright Raúl Castillo has a good problem — a booked schedule filled with roles not allowing the McAllen native time to write. While his busy slate includes an eclectic range of characters, there is a legendary Rio Grande Valley icon Castillo fantasizes about portraying. Castillo spoke to The Monitor last week following his third trip to Park City, Utah for the Sundance Film Festival. The 40-year-old was promoting his new film, “We The Animals,” of which director Jeremiah Zagar tied for NEXT Innovator Award at the fest. “Animals” is a coming-of-age story featuring three children and is drawing comparisons to “Moonlight,” the 2017 Oscar winner for best picture. “As with ‘Moonlight,’ Zagar taps into a cinematic toolbox for representing an outsider’s struggles, particularly as it pertains to a developing queerness within the confines of a world in which marginalization is baked into everyday life,” Eric Kohn wrote in a recent IndieWire review. Castillo said Zagar was transparent about the six-week shoot and wanted to work with young non-actors — a prospect that intrigued him. As a volunteer with the 52nd Street Project, Castillo helps 9- to 12-year-olds develop and perform plays. Castillo gushed about the experience he had, acting opposite his young co-stars, and complemented their work ethic. Castillo considers himself fortunate that “Animals” is just his most recent project “saying something about society right now,” he said. “That’s the kind of work I always want to be doing. The trailer for his new Netflix series “Seven Seconds,” inspired by the Black Lives Matter movement, was released last week. He describes it as a “crime drama (that’s a) dark analysis of racial tensions in Jersey City.” The show is available for streaming Feb. 23. He might be best known for his role on HBO’s “Looking.” Castillo was also featured on “Riverdale,” “Blue Bloods,” “Damages,” “Nurse Jackie,” “Law & Order” and “Gotham,” where he portrayed villain Eduardo Flamingo. He said the experience took him back to the playfulness and physicality of childhood. “I think people in the Valley are going to love it,” he said. Castillo attributes his success to his support system. “I think it’s important to surround yourself with the best — with people that see the best in you and want the best for you,” he said. “It’s not easy being a kid from the Valley and make it out — not that you have to leave the Valley or anything. I’ve been lucky that my family has been supportive of me. He sees certain advantages as a Valley native. “My ego can’t get too big because someone will always bust my chops,” he said. “When I go home, I’m still that kid from McAllen that went to McHi and roamed those hallways.